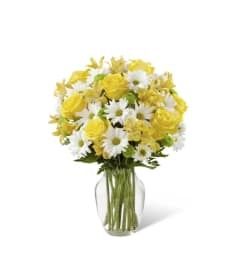 When the occasion calls for a joyful burst of sunshine, this thrilling mixed bouquet is all ready to chase any trace of a cloudy day away. 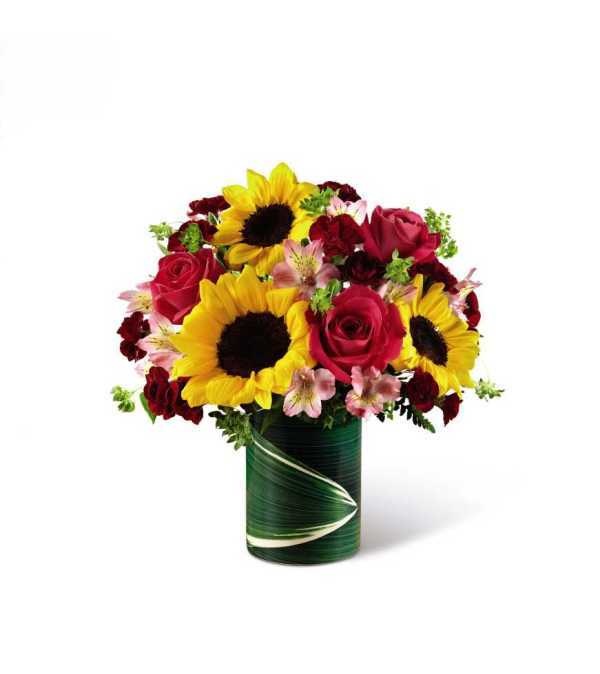 Big, happy sunflowers set the tone and "pop" beautifully among contrasting pink roses and alstroemeria along with burgundy mini-carnations arranged in a ceramic "illusion" vase that convincingly replicates the look of a leaf-lined glass pillar. 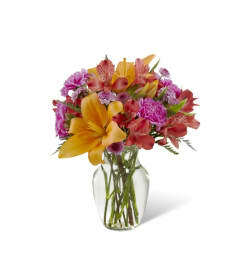 It's an arrangement guaranteed to deliver a fresh outlook for making any day, extra special. BETTER bouquet is approximately 12"H x 12"W.